Recently while attending an old estate sale in Mclean, Virginia we came across a couple of old cigarette lighters that we thought were not only well designed, but pretty cool looking too. The price was right, so we purchased them and as usual started to do some research on old lighters. We stumbled upon a website by a man named Kevin in Portland, Oregon. He has accumulated over 200 different cigarette lighters of different makes and models. His favorites, not to our surprise, seem to be the Art Deco style lighters from the mid-1930’s, like the one pictured on the left side of the page. 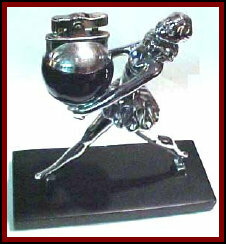 This Ronson lighter features a Rondelight Babyball lighter being held by a Ballerina dancer in chrome. 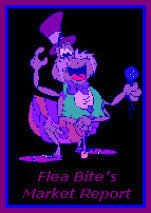 To view more of Kevin’s click on the image . . .